Dorner solves industrial, packaging, and sanitary conveyor automation needs. 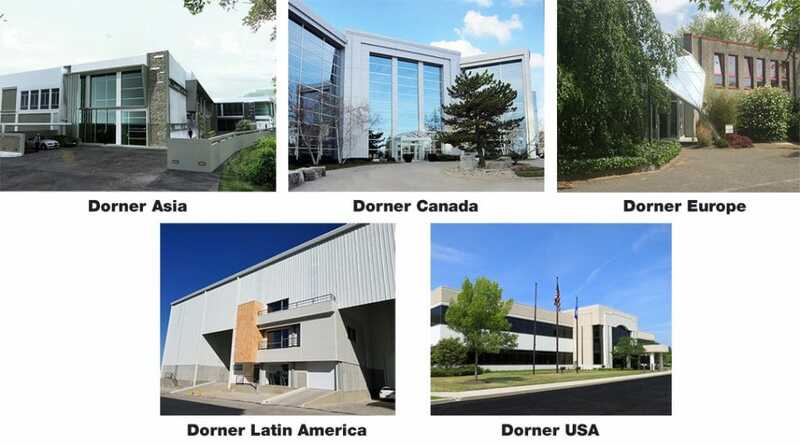 Founded in 1966 in Hartland, Wisconsin, Dorner is a privately held World Leader in the design, applications, manufacturing, and integration of conveyor systems. 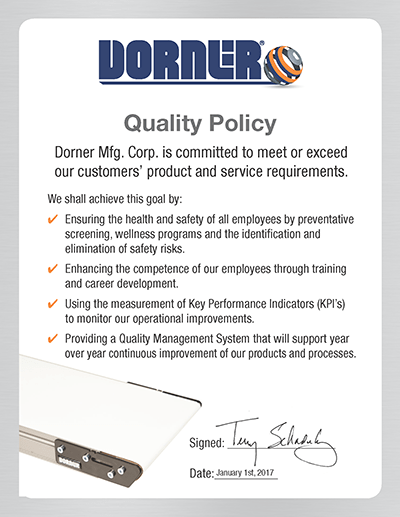 Companies from over 1,200 different industries worldwide turn to Dorner to achieve improved efficiency, productivity, and a positive ROI. our commitment to our employees creates a team that is passionately dedicated to our customers. having an application and support team that has decades of experience in creating smart application solutions. a drive for quality throughout our process backed by an industry leading 10 year warranty. 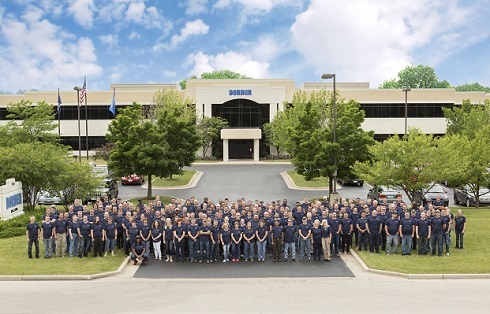 Our employees, our products and our commitment to customers contribute to Dorner being a World Leader in industrial conveyor systems. With locations worldwide, we are a global company with localized support.